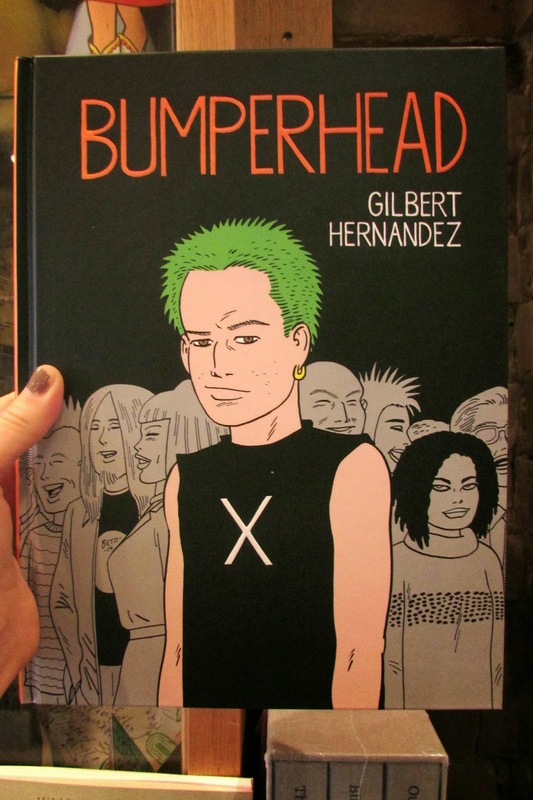 Gilbert Hernandez’s (Love And Rockets, Marble Season) new semi-autobiographical graphic novel is a must-read book for the fall! The legendary cartoonist gives us a striking work with magnificent black and white illustrations. A fragmented story about drugs, rock, punk, and teenage crushes, Bumperhead is filled with true characters and conveys strong emotions. Bumperhead tracks Bobby’s life’s turning points, as he goes from childhood to old age. Hernandez’s stylish strokes beautifully highlight the murky nature of the universe in which the main character evolves. 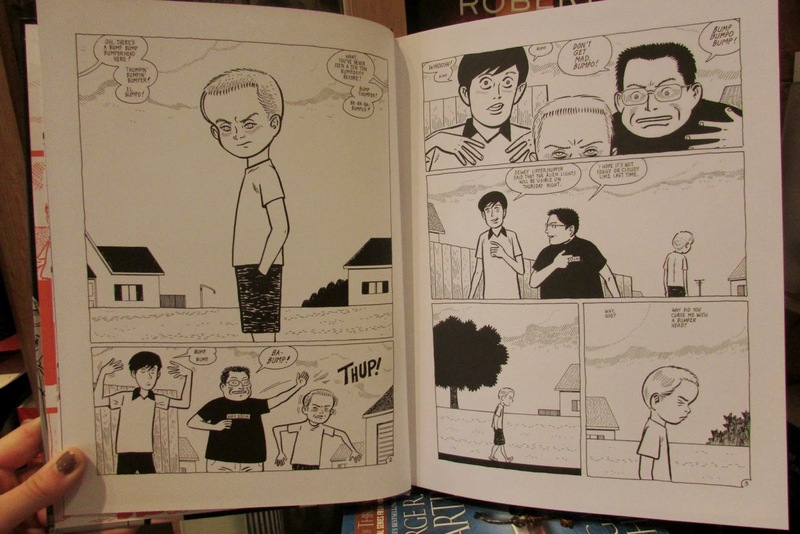 Thus, his work subtly depicts a desecrated world in which even the sky appears threatening to young Bobby, bullied because of his large head. In Bobby’s agonizing suburbs, the Pope is taking a poop on a friend’s i-pad. 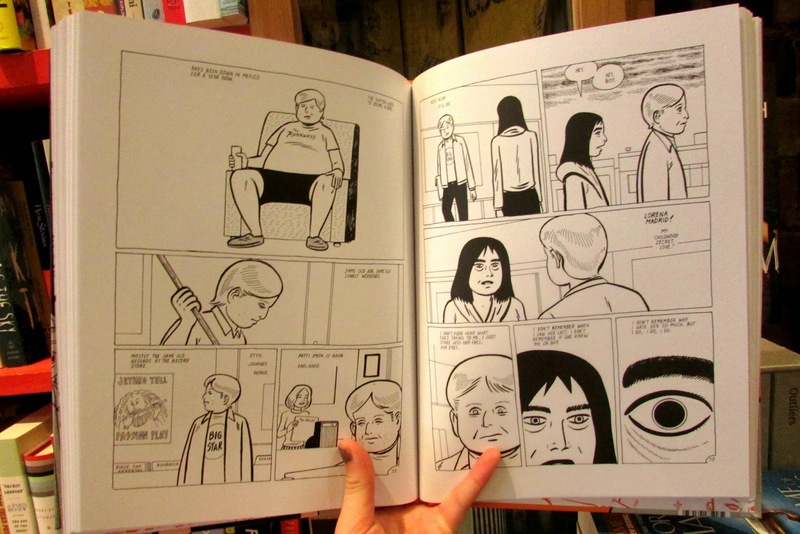 Hernandez’s depiction of the town focuses on the strange and the arbitrary. In these gloomy suburbs, a child is fatally allergic to peanuts, a neighbour speaks faster than his lawnmower and a mother prefers cigarettes to children. Divided into five parts, Bumperhead first traces Bobby’s transition from childhood to adolescence, a narrative punctuated by drugs and music. These vibrant stories even echo my own teen experiences, as a hungover Bobby realizes with dismay "I'm still as drunk as I was last night." The crucial stages in Bobby’s life are also anchored in the interest he finds in successive beautiful women. Although Bobby loves women, they are never around for long and love appears as something changing and ephemeral. 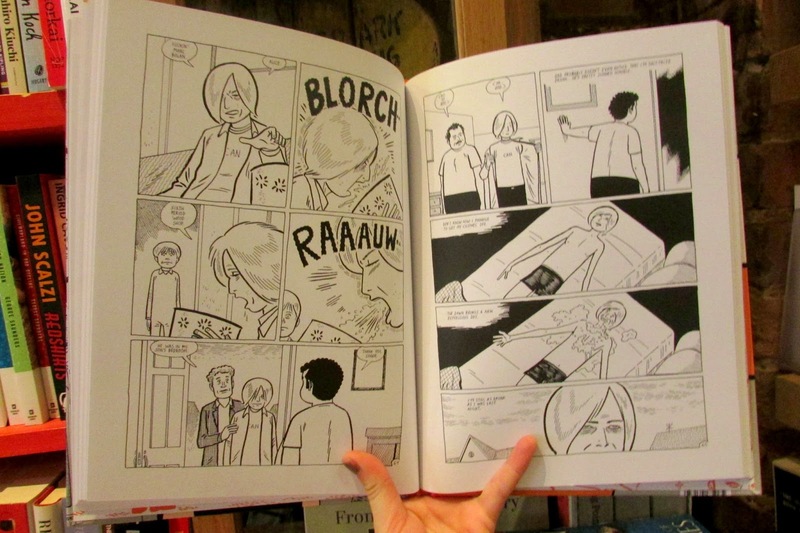 Finally, Bumperhead tells the psychological development of a character that struggles with inner conflicts. 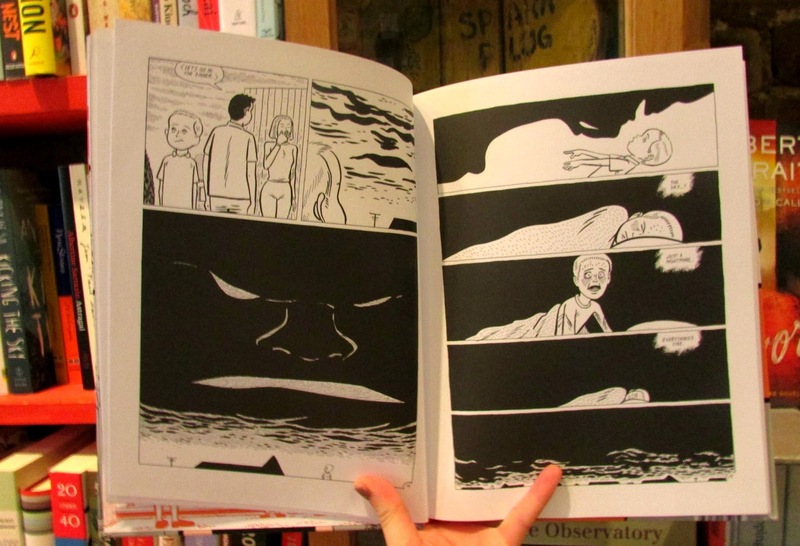 More than words, it is through Hernandez’s beautiful illustrations and his especially expressive rendering of looks, that the reader accesses the emotional charge of the story. The lack of real communication is also spun through numerous relationships. As a result, Bobby’s frustration grows as we advance in the narrative. Silence is indeed one of the main themes and the brutality of whatever is left unsaid is multiplied by the black strokes of Hernandez. Bravo!